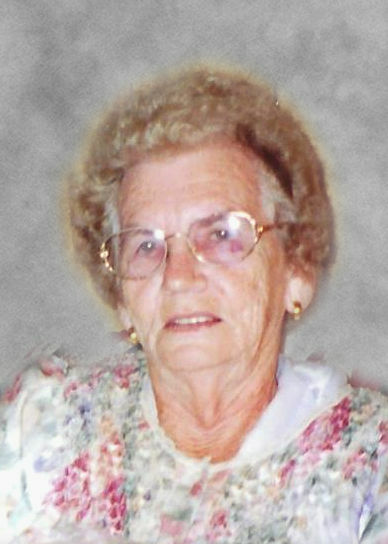 Elsie Helton Dotson, age 91, of Prestonsburg, KY widow of Mitchell Dotson, died Sunday, March 31, 2019 at her residence. She was born November 7, 1927 in Prestonsburg, a daughter of the late Johnny and Myrtle Hale Helton. Elsie was a member of the Fitzpatrick First Baptist Church, Prestonsburg, a retired School Teacher, having worked for the Floyd County Board of Education for 33 years, and a member of the Floyd County Retired Teachers Association. She is survived by two sons, Mitchell "Mike" (Beverly) Dotson, Louisville, KY, Gary D. (Greta) Dotson, Prestonsburg, KY, one daughter; Delores Kaye (Herbert) Whitaker, East Point, KY, one brother; Don Helton, Silverlake, IN, one sister; Emma Slone, Claypool, IN, three granddaughters; Stephanie Zimdahl, Megan Davis, Becky Young, one step-granddaughter, Natasha Harris, and seven great grandchildren. In addition to her husband and parents she was preceded in death by one grandson, Wesley Whitaker. Funeral service for Elsie Helton Dotson will be conducted Tuesday, April 2, 2019 at 2 PM in the Hall Funeral Home Chapel, Martin, with Tommy Reid officiating. Burial will follow in the Dotson Family Cemetery, Rough & Tuff-Prestonsburg, KY, with the Hall Funeral Home caring for those arrangements. Visitation is after 6 PM Monday at Hall Funeral Home.